As an Aglasem hire, he would work in his dream creative job with an educational technology company, joining in the ranks as a social media executive. 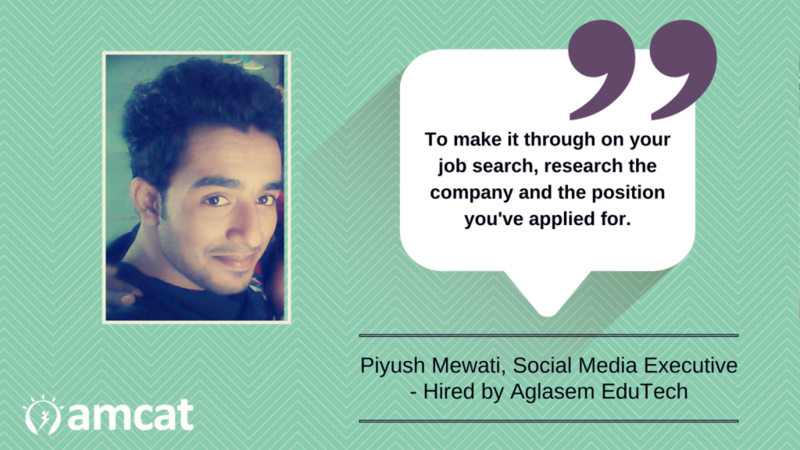 Piyush Mewati’s journey towards becoming an Aglasem hire. Many times, you find yourself pulled in a separate direction from your intended career arc – a slightly different role, a more creative pursuit or even a dramatically different tangent. And that is the tangent from where we begin today’s tale – the story of a Computer Science engineer becoming a social media executive. This is Piyush’s story – a recent Aglasem hire. As an Aglasem hire, he would work in such a stream at the educational technology company, joining in as a social media executive. And a week later, he started to receive relevant interview calls from different companies. This also included the call from Aglasem EduTech, the company he finally cracked. When it comes job interview processes, the one that this candidate faced to become an Aglasem hire was straightforward. 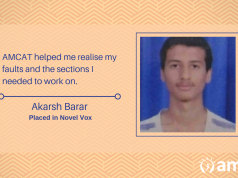 A written aptitude test, focused on his English grammar and vocabulary, led to this round. And he prepared for it with the help of social media! 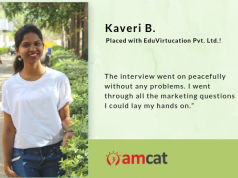 Now, that he has found his dream fresher job, we asked Piyush Mewati whether he would recommend the AMCAT to others. He said, yes. We wish Piyush the very best on his road ahead. 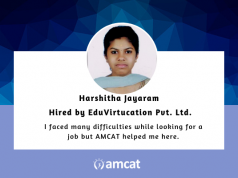 And as we close on this story, we hope that it helped you understand how the AMCAT Test can help someone achieve their career dreams. Previous articleCampus Placements: How to get the dream job your entire class wants?